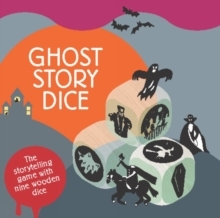 Revive the art of storytelling using these nine beautifully illustrated wooden dice to create ghostly stories. Construct your own spooky adventure tale with an array of creepy characters like vampires, headless horsemen and decapitated knights. You can use your cloak of invisibility to escape from the dungeon in the haunted house, but beware of the creaking staircase! Once you've made it out, will your getaway car break down in the middle of a forest lit by a full moon...? 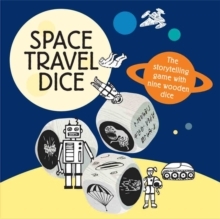 This is the perfect family game that will stimulate the imaginations of children and adults alike. Ideal for playing by a log fire.